Starting with a new series on this blog called Revisiting the Classics, I will re-look at our A/B testing case studies and throw some new light on it (with additional commentary). The case study that I picked for this post relates to human photos on landing pages and whether they increase conversion rate. Before reading rest of the post, make a guess: do human photos (male/female) online really have any subconscious effect on visitors? What research says about human photos on websites? There has been significant scientific research on this topic particularly for eCommerce websites. When you are considering a purchase decision, the main issue online is of trust. How do you know if a particular website is trust worthy? Taking lessons from TV advertising and general marketing principles, people running eCommerce websites think that associating photos of people with products engenders trust. Of course, human photos = increased trust is just a hypothesis. But is it really true? Not just scientific research, real world A/B tests that I have seen also corroborate the hypothesis of human photos may increase conversion rate. Two of our customers used our A/B testing tool (Visual Website Optimizer) to test presence of human photos and its impact on conversions. Following sections detail what they did and what they found out. Medalia Art sells Brazilian and Caribbean art online. 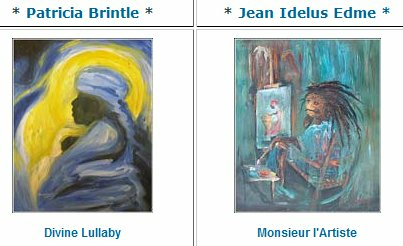 Since they are an online art shop, they showcase paintings from famous artists on their homepage. They decided to test what happens if paintings are replaced by the artists’ photos. The goal for this A/B test was to increase visitor engagement (defined as a click on any link on the homepage; it is the inverse of the bounce rate). They didn’t use sales as a conversion rate as many of their sales happen after interaction on the telephone with the customer. Here are the screenshots of the control (paintings) and the winning version (photos). Results? : Medalia found out that with paintings the conversion rate was 8.8% but if paintings are replaced with artist photos, the conversion rate increases to whopping 17.2%. That’s an increase in conversion rate of more than 95%! (results were statistically significant) How cool is that for doing a slight change? 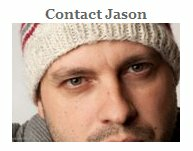 Results clearly show that the version with Jason’s photo had 48% more conversions as compared to generic icon. (Again, results are statistically significant). People want to connect with other people emotionally, the photo makes that emotional connection so much easier and as the test is proving, drives people to the contact form more than a nondescript icon. So, should you use human photo on your website? Most important conclusion: human photos are not panacea for all websites. Best is to A/B test photos v/s no photos on your website. Many research papers proved that in some cases, human photos may actually have a negative impact! Hope you found this article useful. If you have any comments or suggestions, please let me know. Which call-to-action button increased signups by 28% – ‘Watch a video’ or ‘Get Instant Access’? 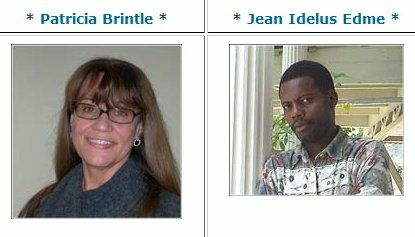 Not just photos of real people help, but having real people on our website has helped us with conversions as well. Of course, I’m referring to live chat. Having an online client service rep is great for connecting with our prospects and building trust and confidence. Human photo give the trust and increase conversion rate. So true about the photos in web site, I ´l will make a few changes on my own.